Every negative thought, experience of stress, anger and fear imprints itself at the level of the body. The body may forget, but the mind remembers consciously and subconsciously. 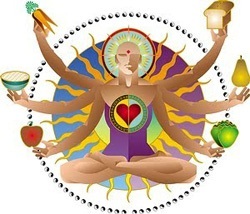 From a yogic perspective negative impulses and imbalances are the root cause of disease. 200 hour yoga teacher training in India is the healing method that holistically prevents and cures the cause of diseases. 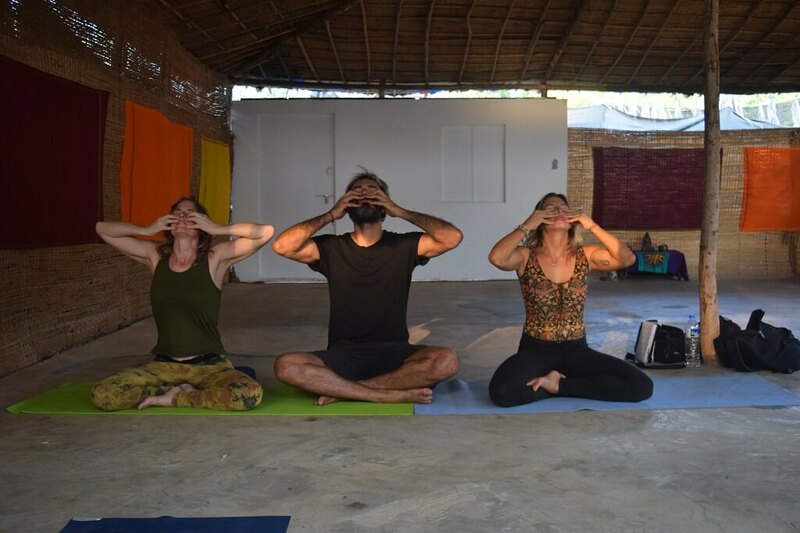 300 hour yoga teacher training in India to become a yoga therapist at Vishuddhi will give you thorough insight into the body as a holistic system and how to restore balance in order to live an energetic, harmonious and healthy life. At Vishuddhi we take ample time to go into depth with Yoga therapy. We take in a limited number of students (6-7) in order to give full individual attention and teach each student in depth. Modern societies are fertile grounds for stress, depression and anxieties which if ignored in the longer run may develop into life threatening conditions. Most people you know would benefit from Yoga therapy. Moreover it also opens an opportunity for you to become a Yoga Therapist yourself with more practice and experience in future. Yoga therapy is beneficial for health in ways that modern science is just beginning to understand. Most of our health problems origin from a state of ignorance of who and what we are. Every imbalance and illness involves a certain level of energy blockage. By increasing the flow of prana, or vital force, yoga combats those blockages, restoring the basic condition for harmony and health. The effect of yoga therapy is clinically documented. Medical research shows that Yoga therapy is among the most effective complementary therapies for many common aliments. Worldwide it is increasingly recognized as a scientific approach to healing. 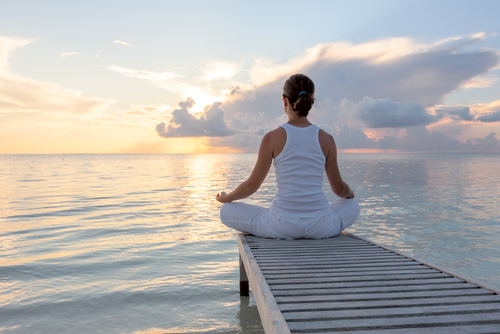 Yoga therapy is based on the principles of Hatha yoga which is practiced in a therapeutic way. A sequence of praynamas and asanas are practiced in an easy accessible and therapeutical manner that targets specific diseases. 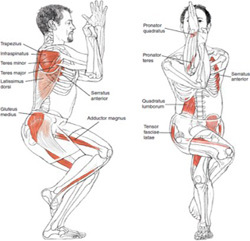 Asanas are selected to stretch specified parts of the body, and block others. However, you must remember, that in the case of serious or congenital disabilities, practicing asanas may not result in full recovery, but in many cases can alleviate some of the suffering associated with the condition. Asanas and other Yogi methods need to be practiced with patience and diligence over a period of time to attain relief or cure. In addition, yoga calms the nerves and reduces the pain thus bringing the troubled entity (pain) to the minimum levels. 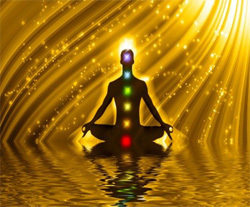 Meditation and pranayama accelerates the healing process. Cure is never forced, rather the body must be allowed to heal in its own pace. Scientifically, Yoga therapy has proven to be effective in treating more than 55 chronic diseases and conditions with ample evidence. Yoga is holistic. Diseases manifest only when our body, mind and soul are out of balance. The belief is to enable the human system to function as efficiently, effectively, and naturally as it can, and the pace may sometimes be slow. Yoga therapy begins with understanding the entire human body and the way it functions. 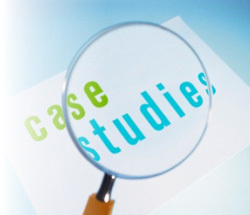 The origins and development of the ailment are carefully studied, particularly the most affected parts of the body. The aim is not simply to cure the symptoms, but to target the cause holistically.Yoga addresses every muscle, bone, organ, tissues and cell of the body. Therapeutic Yoga treatments are not only limited to curing minor or major chronic diseases; but also life threatening and fatal diseases such as cancer. We offer you 200 Hrs (4 weeks) Yoga Alliance International ( YAI) accredited Yoga Therapy Teacher Training Course (YTTC). Having completed your course successfully, you can register yourself with Yoga Alliance International (YAI) to teach Yoga to other students and for your own personal transformation and healing of others. However, some practical real life experience might be required to treat patients professionally and effectively. Every skill takes time to master. We also offer 300 hrs Yoga Therapy courses after successfully completing the first 200 hrs from Vishuddhi. Interested teachers or students can inquire personally. Any enthusiastic and disciplined Yoga student or teacher who has been practicing any style of Yoga (Hatha, Ashtanga, Iyengar or Kundalini Kriyas) and who is interested to learn the therapeutical aspects of Yoga for healing oneself and others. Why you should choose this course at Vishuddhi Goa? We teach authentic traditional Hatha Yoga methods inspired by Traditional Hatha Yoga, based on Shivanada and Iyengar Styles. We merge this teaching with insights derived from modern Yoga Therapists, who have done immense research in the field of Yoga Therapy in past two decades. Yoga techniques are taught in a simple and effective way. We expect enthusiastic and serious students to join our courses as we are truly dedicated to personal transformation and imparting true application here. 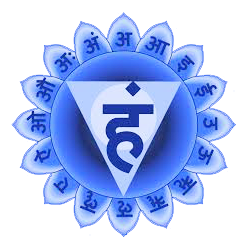 We offer a serious approach for learning Vedic Sciences for dedicated and serious Yoga students and teachers. The teachings and training at Vishuddhi Yoga is just the beginning of your personal and professional transformation. We follow up with continued communication and guidance one to one online if students wish to do so. We keep small groups to give individual attention and interaction which gives a unique learning experience. The most effective way of learning and teaching Yoga is from ‘Direct Experience’. We apply the traditional Gurukul teaching system where you will harvest the wisdom of ancient Yogis till today. 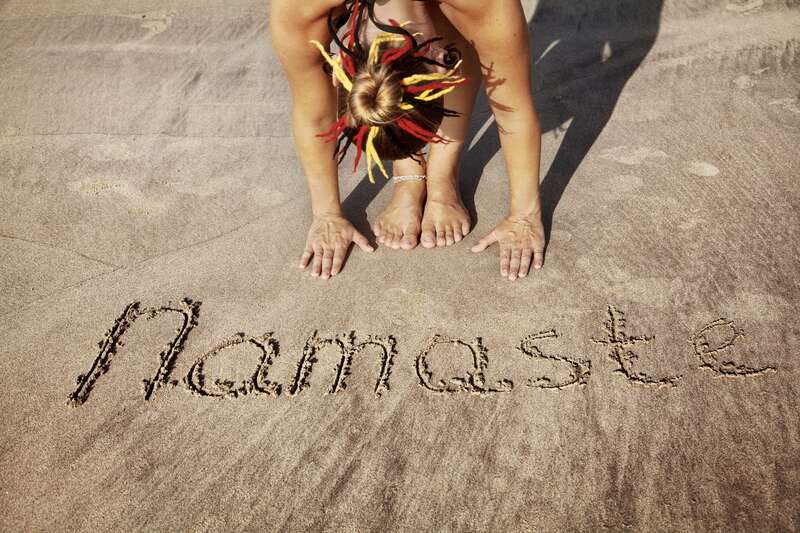 The classes are taught by highly experienced and awakened Yoga Teachers. We offer volunteering opportunities for enthusiastic Yoga students after the course. The courses are Vishuddhi are the most affordable quality courses you would find in this part of the world or elsewhere. 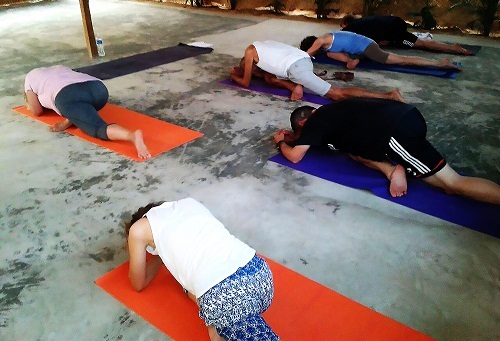 Twice in a week , we arrange one or two Yoga classes close to the nature, at the beach or forest to connect you with your own nature within !! You learn from Yoga Therapist and Yoga teachers who have practical experience of healing people through Yoga Therapy. You seek deeper self-transformation. You are a serious student looking for a more profound internal experience than a normal tourist Yoga destinations can offer. At Vishuddhi, we do Yoga in a spiritual manner without distractions of loud music, parties and intoxication. You are deeply interested to heal yourself or others through Yoga. You are seriously interested to take Yoga beyond a superficial level, rather, you are genuinely interested to learn Yoga as a way to heal in a structured manner. Having completed the course you will feel more relaxed and connected with yourself. Your life will be transformed into one which is happy, healthy and harmonious. Of course you do the work, we just show you the path !! What to expect during the course? Strict discipline, minimum internet, no non-veg food, smoking or alcohol, Abstinence from sexual pleasures, living with simplicity and in a sattwic Yogic way. Avoiding useless talking and chatting. We expect you to engage in personal and group practices and being considerate to others and yourself. Effort and dedication is required to complete the course successfully. Less serious students or absolute beginner’s can opt for Yoga Retreats and other courses instead of Intensive Yoga TTC. We teach Yoga in an traditional Indian Yogic system and environment. Discipline and code of the conduct is the central aspect of everything you do here. If you can’t be in structure and discipline then this school is not for you. You would find authentic classical traditional Indian Yoga here at Vishuddhi Goa. Enrolled Yoga TTC students would get 20% fee concession on Ayurveda Courses. Offer valid only for online booking registration in advance. You are requested to engage lead teacher or Director personally through skype or email communication to do your own person self assessment for this course. Yoga Therapy is not a style so you can’t expect to learn everything new rather it’s an application of already known methods with a completely different approach. You also learn completely new subjects and topics. Kindly refer the course content below on this page for more clarity and understanding. This is beginner’s 200 hrs yoga therapy teacher training course (YTTC). The course is divided into foundation and core therapy part. Foundation part: First 1.5 weeks: Learning tools of Yoga therapy (asanas, pranayama, Hatha Yoga techniques and methods), However approach is different so revisiting and relearning with a new approach might make a huge difference even for experienced teachers and surely for freshers. Core therapy part: remaining 2.5 weeks are spent vigorously on yoga therapy anatomy physiology, related disorders, diseases & case studies involving designing live sequences for max 6 and minimum 5 diseases or disorders followed by practical and written exams. Special Note: Interested students must finish previous 200 hrs from Vishuddhi Yoga to go for additional 100 hrs with us. Students who have already finished 200 hrs Yoga Therapy TTC from Vishuddhi Yoga in last 2 years are eligible to take up additional 100hrs. However they have to present their continued education, practice and preparedness to be considered for 100 hrs (advanced). Applicants who have finished 200 hrs of Hatha or Yoga therapy TTC from Vishuddhi Yoga or any other recognised Yoga school are also encouraged to apply for advanced 100 hrs. How does the daily schedule looks like ? 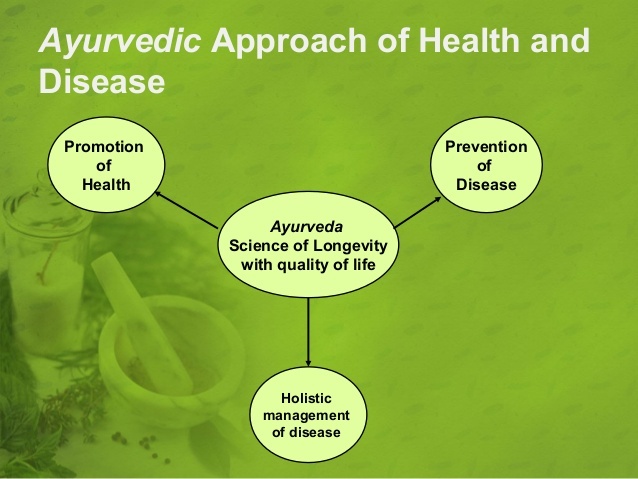 Note: Ayurveda Concepts are only introductory and not in detailed. Two sessions of 90 minutes each would be devoted for teaching these concepts close to the end of the course. Use of Yoga Therapy props, blocks, bolsters, chair, belts etc. Moola, Uddiyan, Jalandhara & Maha Bandha. By the Fourth Week, students will be asked to take up at least 3 case studies, 2 mandatory and one optional which would be the part of the final assessment and practical exam for Yoga Therapy. On successful completion as per the standards of the school, students would be awarded with certification on the last day of the course.